Amish Community Not Anti-Technology, Just More Thoughtful : All Tech Considered The Amish are perceived as shunning technology, but it's more complicated than that. Many Amish communities embrace newer technologies such as power tools and word processors, but only after determining they won't harm the community or disrupt family life. 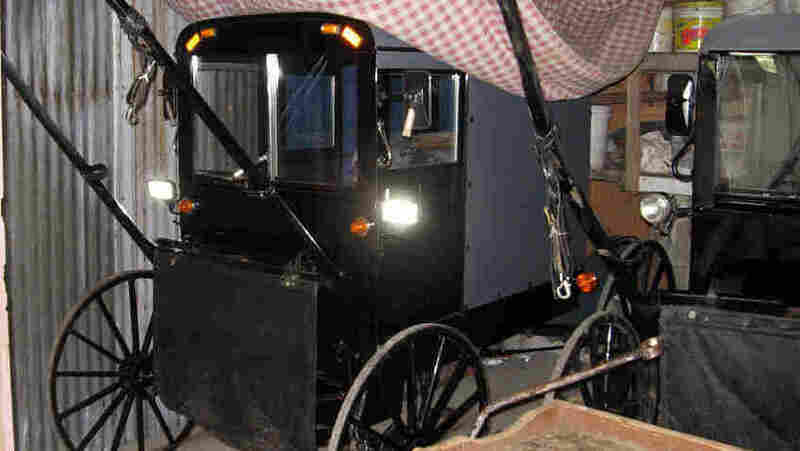 One Amish family in Lancaster County, Pa., has three horse-pulled buggies they store in a barn. They all have electric lights powered by rechargeable batteries. One of the buggies even has battery-powered windshield wipers. Many outsiders assume the Amish reject all new technology. But that's not true. One Amish man in Lancaster County, Pa., checks his voicemail about four times a day. His shop is equipped with a propane-powered forklift, hydraulic-powered saws, cordless drills, and a refrigerated tank where milk from dairy cows is stored. The difference between Amish people and most other Americans is the deliberation that takes place before deciding whether to embrace a new technology. Many Americans assume newer technology is always better, and perhaps even inherently good. 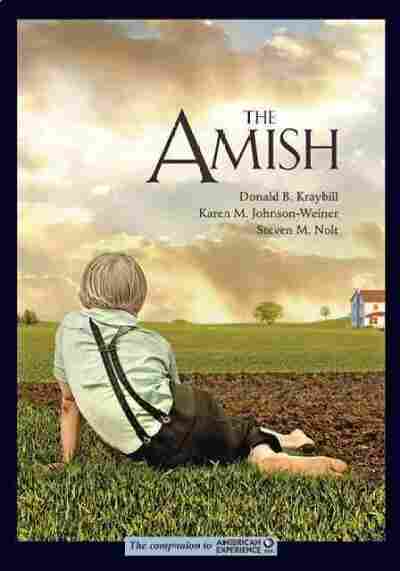 "The Amish don't buy that," says Donald Kraybill, professor at Elizabethtown College and co-author of The Amish. "They're more cautious — more suspicious — wondering is this going to be helpful or is it going to be detrimental? Is it going to bolster our life together, as a community, or is it going to somehow tear it down?" There are 40 different Amish affiliations around the country, according to Kraybill, and they often reach different conclusions in answering those questions. "Some of the subgroups are very conservative, very isolated and doing very well protecting their way of life because they basically reject much more technology than the more progressive ones," he says. Kraybill says the process takes place from the ground-up — people try out new technologies and then leaders ultimately determine whether they are acceptable or not. In Lancaster County, the Amish population is OK with using electricity, but they reject the grid that brings it into most Americans' homes. That's because they want to maintain a separation from the wider world. The Amish believe this life on earth is part of their journey to heaven. Kraybill says if you're just here as a pilgrim, "Then you don't want to get too engaged and too embedded in this world... because you may lose your ultimate, eternal goal of completing the journey to heaven." In recent years the Amish have begun embracing new technology at a faster rate. One reason is because more of them are working as entrepreneurs instead of on a farm. This shift creates new problems that technology often has an answer for. Ben is an Amish man living in Lancaster County. He wants to be known only by his first name. In some Amish communities, using your full name in the media is considered showing off, or trying to speak for all Amish. He owns a deli and says he tracks all his finances with paper and pencil. "I would really love to have Quickbooks, because it's a pain to balance my checkbook," he says. But that would require a computer, and Ben is reluctant to leap into the digital world. He plans to think long and hard before making a decision. Ben plans to follow this advice: "You shouldn't be the first in your neighborhood to adopt the new technology and neither should you be the last." The business owner says evaluating new technologies is something that takes place between the push of progress and the pull of tradition. And in the background there's always one big question: Will this new technology hurt the Amish way of life? While that evaluation process can be slow, changes that have taken place so far have allowed Amish businesses to grow. Homestead Structures, in New Holland, Pa., constructs small buildings such as storage sheds and pool houses. There are 19 employees in the large shop and they use drills, saws and nail guns. But the power for those tools doesn't come from the electrical grid. There are solar panels and a diesel generator for the electric tools. "We seem to be able to compete with other companies that use electric off of the grid," says owner Stephen Stoltzfus. His company has a website that an outside marketing firm maintains for him. "We have telephones, in the office," says Stoltzfus, "And for our bookkeeping we have what they call word processors." Stoltzfus is among the Amish businessmen who have entered the computer age. A company that outfits computers for Amish people touts in its advertising what the machines do not have: "no Internet, no video, no music." All these contortions — finding ways to enjoy the benefits of technology while maintaining tradition — may seem like cheating. But Professor Kraybill says there's another term for it: "Amish hacking." "It's not hacking the Internet, but it's learning how to get around the restrictions in ways that are acceptable within the moral order of the community," says Kraybill. And even that requires a level of deliberation foreign to many Americans. The Amish don't automatically embrace what's new, they evaluate it and decide if it's a good fit for the lives they want to lead. Kraybill believes that is where the Amish may have something to teach the rest of us.